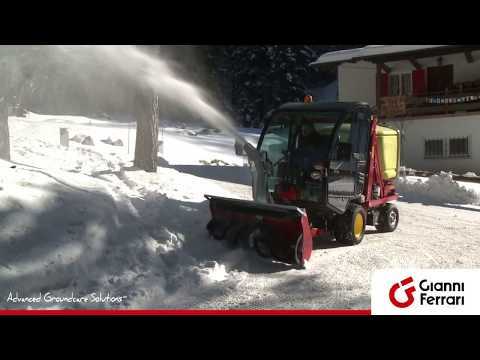 Turbo 1-1w-2-4 professional machines represent the top-range of Gianni Ferrari collecting units and guarantee SUPERIOR PERFORMANCE UNDER ALL APPLICATIONS. Compact and powerful. 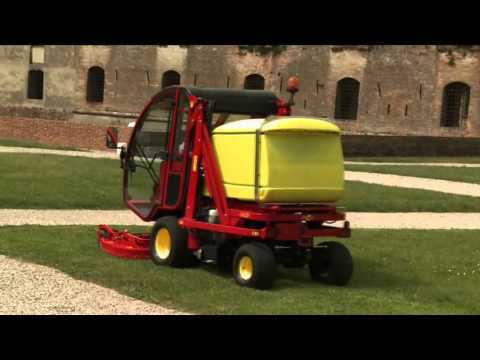 The latest addition to the range is extremely efficient on flat ground or on areas with slight slopes. 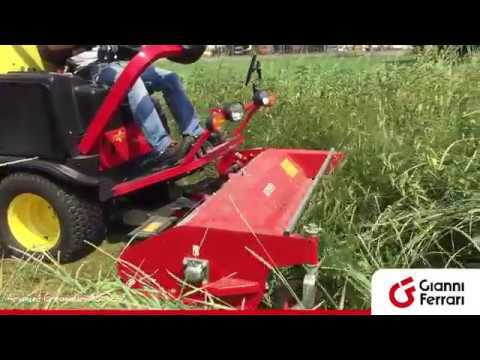 A powerful 3 cylinder diesel engine and a large blower allow very high cutting speed and a very good cutting quality even with high, wet grass. 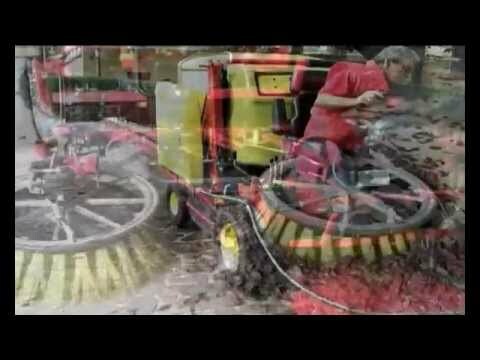 A 1100 litre grass collector, together with a high dump elevator (dumping at 2.1 mt) will make your job extremely productive. Transfer speed tops at 18 km/h. Very compact, it can easily work with obstacles and narrow paths. The Turbo 1W is provided with patented HTC™ (Hydrostatic Traction Control) 4 wheel drive for a perfect traction on hard slopes. For a maximum of efficiency. Turbo 2 and 4 has the same features as Turbo 1 but with a more powerful 4 cylinder diesel engine and a 1300-litre grass collector. 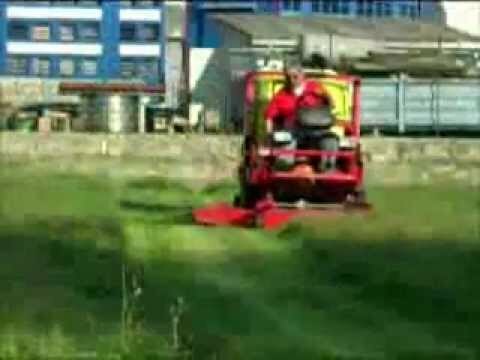 Performances in open areas consequently improve: a football field with thick and wet grass can be cut and collected within an hour, with a cutting quality very close to that obtained by a cylinder mower. 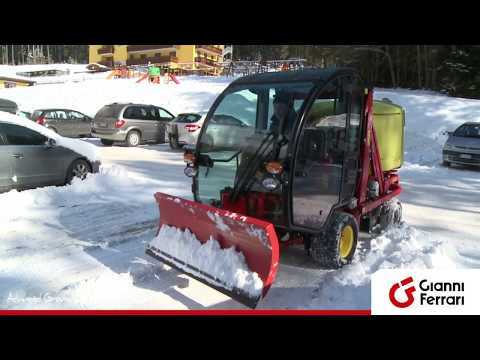 The Turbo 4 model features 4 wheel drive and HTC-VD ™ system for perfect drive on even the toughest slopes. For maximum traction and power. 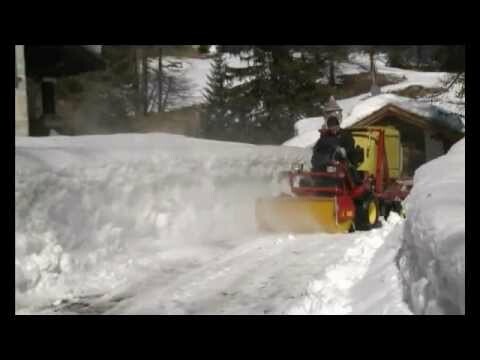 Unbeatable on areas with strong slopes. 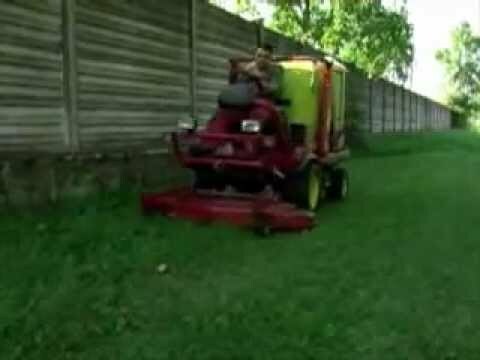 The low center of gravity allows safe cutting even on the side of slopes, where competitors’ mowers could not work. 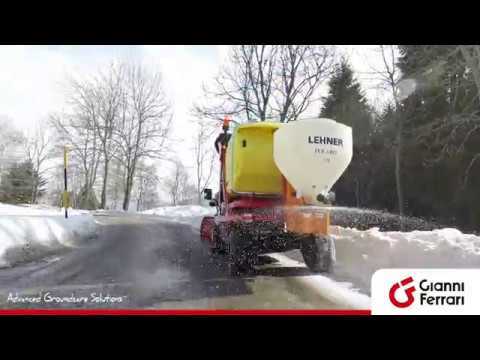 A 50 hp engine, a 2-speed transmission that maximizes traction and speed during transfer and a 1400-liter collector make the machine a top performer. The Turbo 2-4 Cruiser models feature a spacious, suspended cabin. The standard featured heating and air conditioning systems, together with electronic transmission control, make the Cruiser extremely comfortable for prolonged use in all weather conditions. Cab is suspended on anti-vibration mountings and, due to the usage of electric and electro-hydraulic controls, there is no rigid mechanical linkage between the cab and the machine. Therefore the driver’s seat is completely insulated from the traction unit. The use of special mats provides further insulation. With high capacity airconditioning the Turbo Cruiser cab ensures excellent ergonomics and comfort in any climatic situation. The intake duct connecting the front attachment to the fan is made of strong steel instead of plastic for long life. The powerful vacuum fan has a large diameter producing a high input of air at low rpm resulting in low noise level. The vacuum fan is equipped with 6 curved rotor blades that are easily changed in case of damage or wear. The large collector is made from sturdy impact- resistant material and is fitted with a filter, deflector and warning buzzer to indicate when the hopper is full. The filter is easily removable for cleaning. The buzzer advises the operator to disengage the PTO when the hopper is full, to prevent clogging the collecting duct. 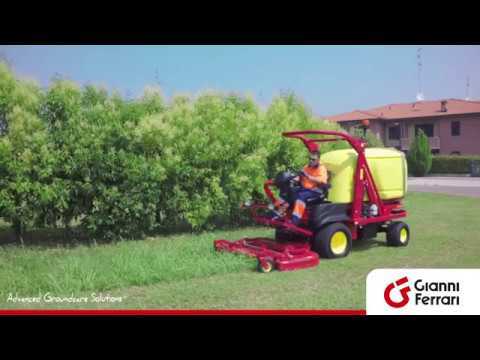 The motorised swivel spreader compacts grass and fills the hopper evenly by making the most of its capacity. 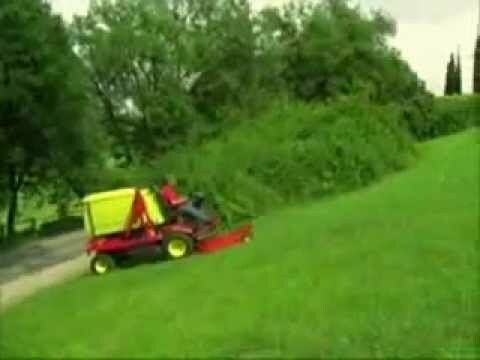 An efficient and strong hydraulic high-lift dump allows the operator to easily and rapidly discharge the cut grass directly into a truck or a trailer. 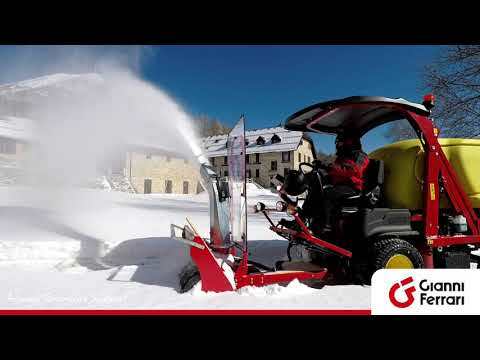 The Gianni Ferrari mounts Kubota 3 or 4 cylinder engines with 1100 or 2400 cc for maximum reliability, power and low noise level in full compliance with the last regulations. The front axle consists of a differential assembly that connects two reduction gears in oil baths, which transmit the drive to the wheels. The transmission system is very efficient as the hydraulic axial piston motor ensures high performance. In difficult conditions (uneven ground, slopes or poor grip) the mechanical differential with 100% lock ensures that all the available axle torque is transmitted to the wheel offering better grip, always ensuring excellent traction. In addition to the front mechanical axle, the Turbo 4 models are equipped with a rear mechanical axle with oil bath gearboxes driven by an additional piston engine. Dual traction on the Turbo 1W is obtained with 2 orbital wheel motors on the rear axle. In both cases the absence of a transmission shaft between the front and rear axles allows the low engine to be housed between the axles so that the machine achieves an optimal center of gravity that greatly benefits it. This configuration also allows independent control of the speed of the two axes thanks to the HTC devices to ensure reduced turning radius, no sliding and optimal drive in all conditions. Since this is a highly professional machine, intended for extended use during day time, particular attention has been paid to the operator’s seat and control ergonomics to give the driver maximum comfort and safety. The engine throttle controls and the blade and hydraulic devices (deck lift, collector emptying and lifting) engagement controls are all located near the operator’s right hand and are all easily accessible. Warning lights and level gauges are located on the steering column. The tilt adjustable steering arm always allows the correct drive position to be achieved by the operator and it is extremely comfortable. Access to the seat is unhindered as there are no obstacles between the steering wheel, seat and foot-platform. The foot-platform is mounted on isomounts and is fully adjustable to the vertical position allowing the mower deck to be safely tilted via hydraulic power to vertical. The seat is adjustable in various positions for better comfort 3 heights, full slide, adjustable back and armrests plus weight adjustment from 50 to 130 kg. Standard mounted pneumatic seat on the Turbo 4 Fifty. Also available in warmed model at request. It offers a complete driver protection in case of a machine roll over. It provides sun and rain protection. 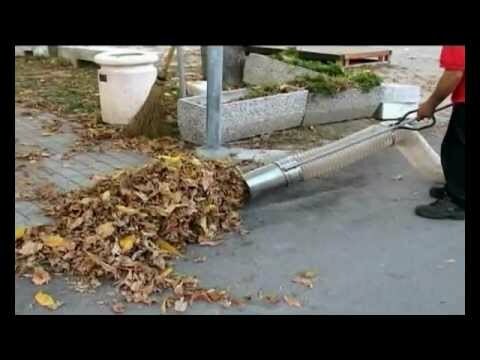 It also protects driver from branches when working under trees. 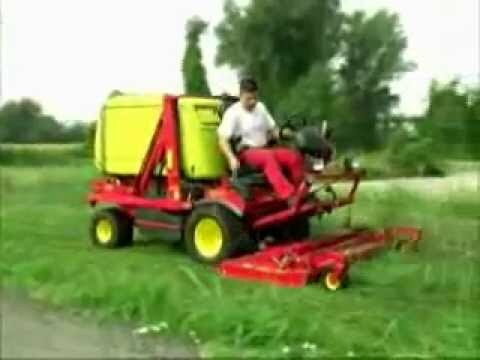 An aluminum dump body can equip the mower without the collection system, and be very useful for transport of sand, debris, tools or other material.